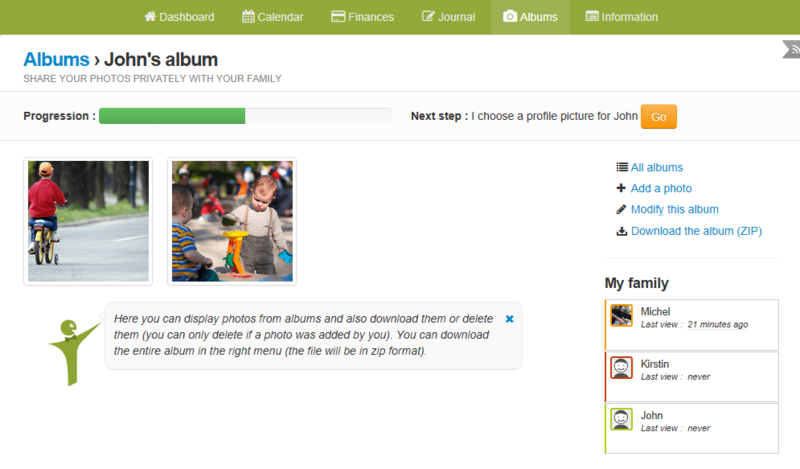 Photo albums let you share any photo you want as many as you want, with members of your 2houses account. You can, launch a slideshow, download entire albums, and download photos in original size. Everything is in the same place! 1) First, click on “Albums” in the upper menu and then click on “Create a first album”. 2) Now add a name to your album and if you want to, you can add a description. Once you’ve done it, click on “Save the album”. 3) Your album is now created but it is still empty. Click on “Select” or drop a picture to add some photos! 4) Click on the photo and you can leave a comment, download it or delete it. 5) Your album is now complete. Add more photos, modify the album, download the entire album (.zip file), delete photos, and download them in their original size, or play a slideshow. Your album has been created ! A picture is worth a thousand words so it’s your turn to share photos and add comments to them!